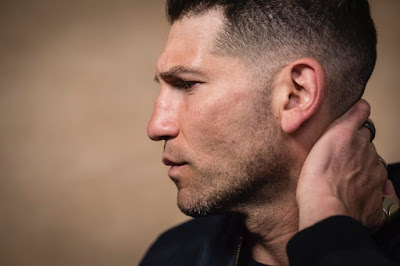 When he's not busy punishing people as Frank Castle on Netflix, Jon Bernthal is nabbing film roles left and right. He's just completed work on Steve McQueen's crime thriller Widows and is now headed for a part in First Man. The Neil Armstrong biopic finds Ryan Gosling as the main man, charting his training and the missions that led to his walking on the moon. Bernthal is aboard as Dave Scott, a fellow pilot and astronaut who was his partner on the Gemini VIII mission. Damien Chazelle is staging the reunion with his La La Land star Gosling, and the cast also includes Kyle Chandler, Corey Stoll and Claire Foy. The cameras will start rolling this November in Atlanta. Bernthal has Wind River due here on 8 September, and will be seen in Shot Caller, with The Punisher series launching this year.